Parliament may have voted against a no-deal Brexit last week, but with no other deal in place we are still due to leave the EU on March 29th. This plunges the UK into a time of great uncertainty in both the residential and commercial property markets. With Mark Carney, Bank of England governor, saying that house prices could tumble by a third if we leave the EU without a deal, people are reluctant to make any firm decisions until they are sure of how the markets will look. At a rise of only 1%, house price growth across Britain this January was at its slowest since 2013. This trickled over into February with a rise of only 0.4%. The Royal Institution of Chartered Surveyors said its members’ three-month expectations were flat or negative across the country. Currently, we have seen that those who are buying are mostly those who absolutely cannot put off buying and need to change accommodation urgently. There has been a repeated pattern of house prices stagnating since the referendum in 2016. After the referendum announcement they idled for almost a year. It is likely that as the EU departure date gets closer without any certainty on what will happen after we leave the EU that house prices will continue to stagnate or even fall. People are engaged in a stale mate, there may be people willing to buy if they can capitalise on bargains, but with house prices falling, most homeowners are becoming increasingly reluctant to sell. When it comes to house prices, there are bargains out there and properties are moving quickly at the right price, but many individuals and companies are waiting for a resolution before buying, selling, or leasing a new property. It is unsure what the long-term effect will be of Brexit on property prices, but if a suitable Brexit deal is reached, I would expect there to be a flurry of activity as investors and homeowners breathe a sigh of relief that no-deal is actually off the table. The chaos caused by Brexit uncertainty is not localised to house prices. According to Capital Economics, commercial property values are forecasted to fall between 5% and 9% under a no-deal Brexit. This was seen in the immediate aftermath of the referendum result where wary investors of commercial property cashed in their assets. However, this may have been something of a knee-jerk reaction as foreign investment in commercial property has increased since the referendum, particularly from non-European investors, sending city prices on an upward trajectory once again. 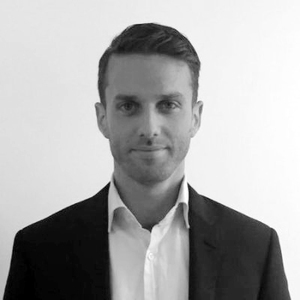 Nico Beedle is the co-founder of Merali Beedle LLP, a boutique firm based in Kensington specialising in commercial and residential property, employment, family, corporate and private client. Nico specialises in commercial acquisitions and disposals, landlord and tenant transactions, real-estate financing and all types of real estate management work.